Houston, Charles S. & Robert Bates. 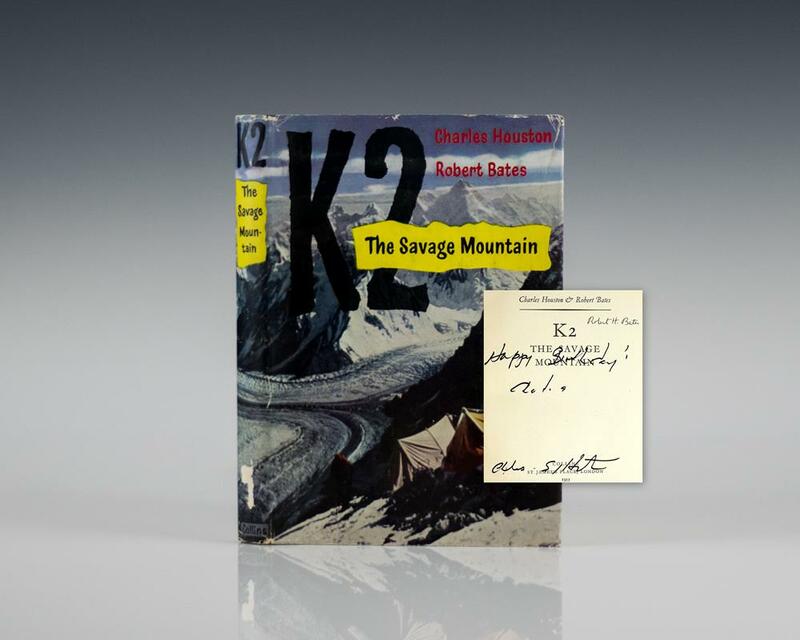 First edition of Charles Houston and Robert Bates’ K2: The Savage Mountain. Octavo, original cloth. Signed by both Charles Houston and Robert H. Bates on the title page. Also laid in is a short letter written and signed in Houston’s hand. Fine in a very good price-clipped dust jacket. K2: The Savage Mountain was named one of the 100 Greatest Adventure Books of All Time by National Geographic.